Ecommerce websites have been ruling the roost since long. Ever since their introduction, ecommerce websites have gained steady popularity among both buyers as well as sellers. The main reason behind their staggering success can be attributed to the fact that an ecommerce website offers tremendous opportunities and great growth for a business and its successful expansion. Similarly, for customers, it offers an easy, convenient and time saving method of doing shopping sitting at home. In today’s highly globalized world, where Internet has made inroads in almost all aspects of our lives, it has become quite a routine to shop for things like clothes, groceries, gifts, books, accessories etc online. All this has become possible with the presence of ecommerce websites. All one needs to do is to go to the website makes few clicks and it is done. It saves not only efforts but also time which everyone is short of in today’s fast-paced world. When it comes to business houses, an ecommerce website serves as an efficient, cost effective and profitable alternative for business expansion across the world. It provides a business with much needed exposure. It helps a business in establishing itself well in its niche market as well as in other international markets. They help in enhancing marketing programs. You can promote diverse range of products via an ecommerce store. It helps to facilitate consumers with varying payment options like credit card, Pay-pal etc. Moreover, it also helps in reducing the operational cost. An ecommerce website is a faster and much effective way of selling products. Ecommerce website have become pocket friendly way of promoting business and expanding it to reach to a wider section of audience. There is no doubt that an ecommerce website opens the door of many opportunities for a business. However, it should be borne in mind that an ecommerce site fetches desired results only when it is developed as per standard rules and is completely secure. Security is a very important issue when it comes to online transactions. It is imperative for every ecommerce site to provide 100% security to the users. During an online transaction, customers are required to provide their sensitive information like account details, card numbers etc. Now most of the times, users back out because they do not find trusting a website worth it. The main reason behind this is the site’s sloppy security system. You cannot expect customers to trust you if you do not offer them high standards procedure that guarantees 100% security for their personal information. Providing customers with a fully secure ecommerce environment should be the top priority of a business owner. This helps to enhance the credibility and reputation of the website. Consequently, it leads to more traffic, more conversions and more sales. In the absence of a secure mode, an ecommerce store does not stand any chance of attaining success. A secure system helps to gain the trust of customers. If you provide your customers with a safe web browsing system and protection of personal and credit card information during checkout, customers are likely to make the purchase. How to make your ecommerce website fully secure? Security is an important issue and once you provide your customers with a secure environment, you can rest assured that you will get more traffic and more conversions. Discussed below are some of the ways of making an ecommerce site safe and secure. 1. Secure server – First and foremost, you must ensure that you have secure server. This is the server that you will use to host your ecommerce web site, in case you do not go to an ISP provider to do the hosting for you. If you opt for an ISP provider to host your ecommerce site, then you must ask them about the security provided by them. 2. SSL Encryption – While setting up a secure ecommerce web site, it is important to ensure that the IIS or web server has the SSL encryption security protocol implemented on it. SSL stands for secure sockets layer and provides a secure way of transmitting sensitive and confidential information like credit card numbers, social security numbers or other such important data. This encryption system provides coding and decoding of sensitive information on a secure channel. This helps to keep hackers at bay. If you have SSL encryption, it will encourage your customers to share confidential data such as their mailing address, date of birth or credit card number with you without worrying about it being stolen. It is imperative for all ecommerce websites to have a 128 bit encryption. This is the standard level of encryption for processing payments. However, some ecommerce websites also offer 256 bit SSL encryption. At this level, you get twice as much protection and the code is even harder to crack. 3. Digital Certificates – It is imperative to have digital certificates. These digital certificates, SSL certificates or root certificates are sometimes just called certificates. They are used to encrypt, decrypt and authenticate data on a web or IIS server. 4. Certificate Authority – Another important thing to ensure the safety of an ecommerce site is to obtain the certificates through the Certificate Authority. For this, you need to go to the Certificate Authority’s web site and apply for the certificate. They have simple procedures to apply for the certificate and obtaining it. You are required to provide them with all the necessary information about your company, who they should contact, and valid documentation for your company, like your articles of incorporation. This information is used by them to make sure that your company is legitimate. 5. CSR File – Like other security procedures, it is equally important to generate a CSR file. A CSR file is an encrypted file that has information about your company and your web server. The Certificate Authority will use this CSR file to generate and validate certificates for your e-commerce web site. 6. Install the Certificate – After obtaining the certificate, it is important to install the certificate on your IIS or Web server. This certificate also ensures your business partners, customers and other businesses that your e-commerce web site is credible and reliable. 7. Security Suite – Last but not the least; make sure you have an e-commerce or business security suite installed on the server. The Business security suite should have a firewall, virus or malware protections, spyware protection, privacy protection and several other features. You should also ensure that your e-commerce web site redirects using the correct protocols to go to a secure section of your site or that the entire web site is secure using the HTTPS protocol. 8. PCI Compliance – One of the most important features of a secure ecommerce site is the PCI compliance. PCI stands for payment card industry. 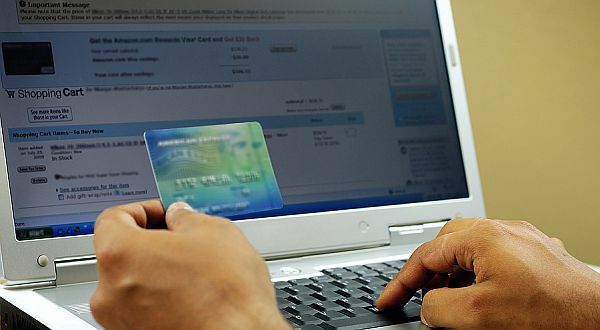 It is an independent body formed by the major credit card companies aimed to create better online payment security. In 2006, Visa, MasterCard, American Express, JCB and Discover came together to set a new standard for processing, storing and transmitting credit card information over the internet. They have a condition according to which merchants both big and small are required to become PCI complaint so they can offer their customers the safest environment to carry out secure transactions. About Author: Justin – MarkupBox.com is a specialized PSD to HTML Conversion Company, backed with years of experience and diligent professionals. We also offer software implementation service like PSD to Magento , PSD to WordPress, PSD to Joomla and PSD to Drupal and much more.